To mark 71st Independence Day, Albayrak & RWMC arranged a special camp awareness activity near Holy Family Hospital, UC-14. The communications teams of Albayrak established an awareness camp where the citizens especially visitors were requested to lend their hand in making Pakistan clean and green. Albayrak team distributed Jashan-e-Azadi leaflets, badges, key chains and Pakistani flags among the visitors at the camp. Albayrak in collaboration with the RWMC and National Forum of Environment and Health also arranged a plantation drive at Albayrak Rawalpindi Workshop with an aim to make Pakistan Green. The officials of Albayrak and RWMC planted saplings within the premises of the workshop. 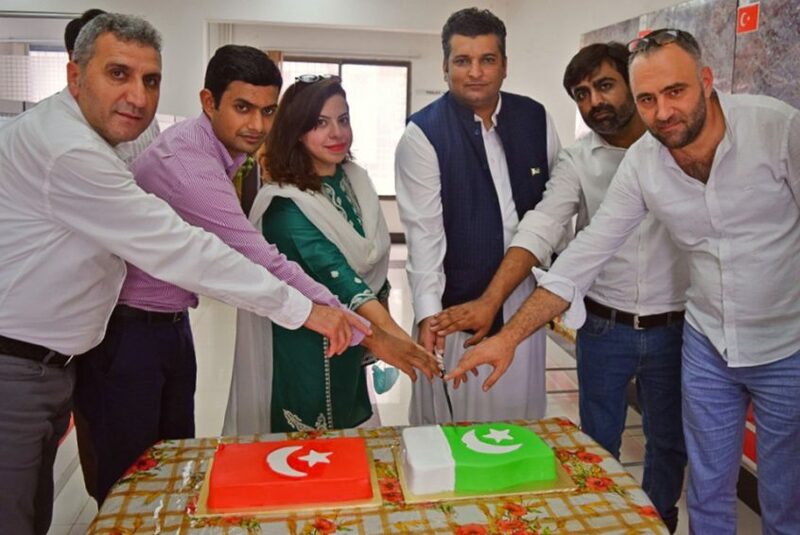 Later, a cake cutting ceremony was also held. General Manager Operations Albayrak Murat Sengur and MD RWMC Rizwan Sherdil led the events.